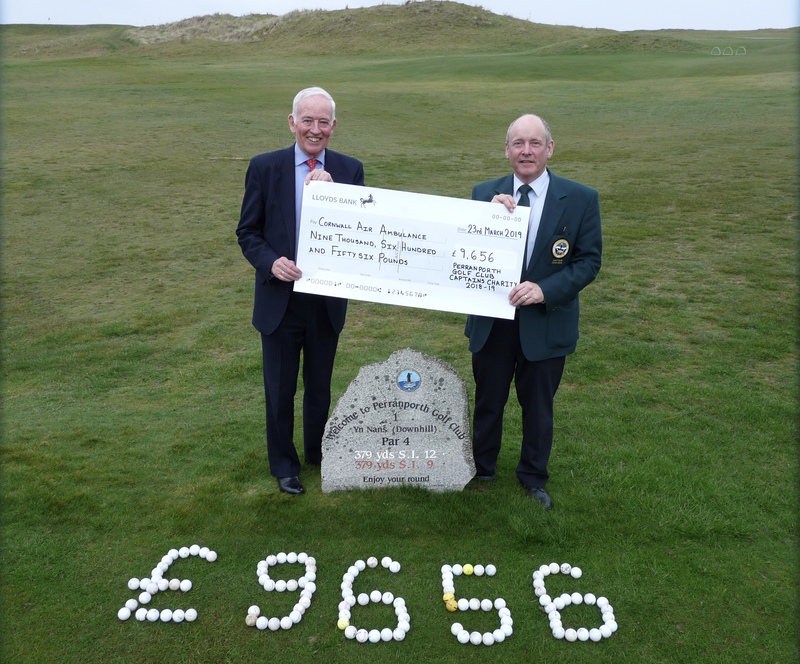 Club Captain Peter Naish presented the cheque to Cornwall Air Ambulance Trustee, Ian Brackenbury, at the club on Saturday 23 March. The club chose Cornwall Air Ambulance as its charity of the year after one of its members needed the assistance of the helicopter service. Peter said: “This year we had cause to call out the helicopter when one of our members was taken ill on the course, he has thankfully made a great recovery thanks to the skill and expertise of the paramedics. Find out more about how your community group could support Cornwall Air Ambulance here.